Beginning in 1999, AMS Vans has had one goal--to equip every person who needs accessible transportation with one of our low-cost wheelchair vans. Our buy-from-home option allows customers in Pueblo, Colorado the chance to buy a handicap van at an affordable price from one of the top dealers in the nation without ever leaving home. 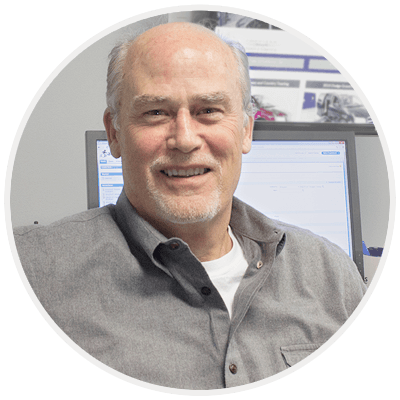 When you are paired with one of our mobility consultants, we'll work around your day to create a personalized sales experience. Once we complete the sale, we can have your handicapped van delivered to you, anywhere in Pueblo, Colorado. A mobility professional will personally drive your handicap van from our office to your home in Pueblo, CO, and then, fly back. Arrange to have one of our new or used wheelchair vans hauled to your residence rather than driven. Our professional will drive a truck and haul your handicap van on a flatbed trailer to anywhere in the Pueblo, Colorado area. Rather than pay for delivery, come to our facility in Atlanta, GA to pick up your wheelchair van personally. Before you go home, take a minute to tour our office and meet some of the people who made the sale of your handicap van happen. Normally, customers who travel to us from Pueblo, Colorado will receive a pick-up discount off the purchase price, just for getting their handicapped vans home personally. Take advantage of our free "White Glove Service" to get accustomed to the workings of your specific handicap van. Before leaving the keys, our mobility professional will show you the safety features, give you a demonstration of the adaptive and factory-installed equipment, as well as answer any questions you have. 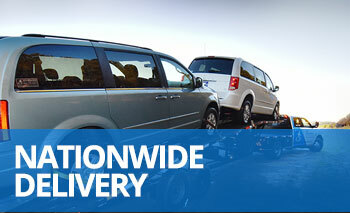 We guarantee every wheelchair van upon delivery, or your money back. At the time of delivery, if you aren't completely happy with your purchase, tell the mobility professional, and we'll take the van back to our headquarters, end the sale, and get a refund of your payment in the mail. For another optional opinion before making a final commitment, we can meet you at any mechanic in Pueblo, CO and wait while they evaluate the condition of the handicap van. AMS Vans installs our wheelchair van conversions on name-brand minivans like Dodge, Chrysler, and Honda, giving them some of the highest resale values in the market. When you're ready to upgrade, AMS Vans will buy your gently used accessible van from you or you, as an AMS Vans customercan list your used wheelchair vans on our mobility classifieds free for one month. We also consider both modified and unmodified vehicles for trade-in on the purchase of a new or used handicapped van. Customers who live in Pueblo, Colorado can have their trade-in vehicles picked up when their new van is delivered. Call us Monday-Friday at 800-775-VANS (8267) to learn more about the opportunities we can provide you. We'll obtain your specific accessibility needs and search our inventory for some handicap vans for sale that might interest you. Just choose one you'd like, and we'll take it from there while you stay home in Pueblo, CO.
We're privileged to bring affordable accessible transportation to so many throughout the United States.